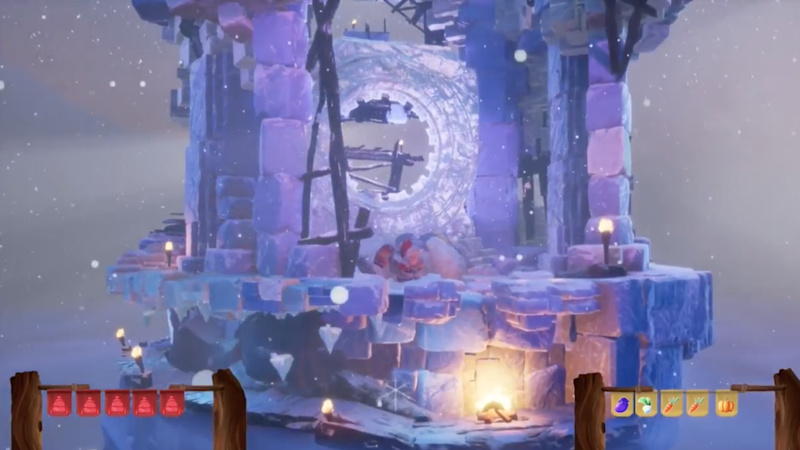 Video: What Would Ice Climber Look Like If It Was Recreated In Unreal Engine 4? Whether you know them from their original 1985 NES game Ice Climber, or simply as playable characters in the Super Smash Bros. series, the Ice Climbers are a very popular cult duo among Nintendo fans. Despite this, Nintendo has shown no sign of releasing a new Ice Climber game, so fans have started taking matters into their own hands. The video below shows a fan-made project which is billed as a prototype for a reboot of the series. Taking inspiration from the original game, this prototype shows how a modern take on Ice Climber could look if it was created in Unreal Engine 4, with a charming cylindrical level design sitting in place of the usual 2D backdrop. With the franchise being so quiet for such a long time, it's hard to imagine Nintendo giving Popo and Nana another shot, but this video makes us want to see a fresh take even more. If you're reading, Nintendo, we're eternally ready for more Ice Climber action. Would you like to see Ice Climber make a comeback? How would you like a new Ice Climber game to play? Let us know down below. Many franchises have been looooong overdue. Look at freaking StarTropics! Nintendo only focuses on the same damn franchises, year after year, generation after generation, catered to the same people. Frankly, I'm completely through with them. As far as I'm concerned Mario should retire, once and for all from the video game landscape. Besides that, when was the last time Nintendo targeted a more mature audience outside of Metroid? Do we not count, we gamers who are done with the same things, who have actually grown up, who made it possible for you to be where you are??? 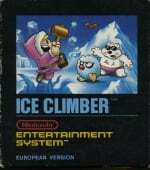 I found the NES ice climber to be a flawed, barely fun game with awful jump physics. There's a reason they never got a sequel and when they were added to Smash nearly everyone asked: who? Looks like a fun prototype, I played quite many of the rolling-tower type games back in the day. Visually this looks like any other spare-time Unreal experiment; poorly lit, muddy colors, and with no discernible art direction. I would give that game a try. I always enjoy going back and playing the original and I use the two characters in Smash on the Wii. I would like to see more of the older series return but it doesn't seem like it would happen anytime soon. @Alikan Yeah, Ice Climber had very faulty controls. However the idea itself was pretty compelling. Do you remember Nebulus on the C64? That was an amazing tower climber! Yes! Only I played the GameBoy version some years later Which wasn't as pretty, and it was renamed Castelian, and only had the tower levels, not the submarines. It was still a good time, and I should play some of the originals, as it now seems there are quite a few! Why have fans and all recreated nintys games or made them look how they should when Ninty can't be bothered??? Lol I saw the Metroid prime in unreal 4 and I was thinking why this has not been done on Switch yet! @EightBitMan You are right in some degree, Nintendo does need new series. However, why can't they coexist? Expand the markets. Doubt it will ever happen, especially since Nintendo themselves believes they make only kiddy games the hardest, but would be sweet. I do like the new crossover betweens the Warriors franchise, but thats teen at most. Ice climbers needs a remake in general, I dont care which engine. Never understood the love for Ice Climbers. It was a pretty awful game IMO. @NewAdvent Holy crap, I’d love a sequel to either Balloon Fight or Wrecking Crew. More so Wrecking Crew, actually. @MH4 @NewAdvent They could even release some in a Game & Watch Gallery format. Don't forget that both Ice Climber and Balloon Fight have the added online multiplayer for Nintendo Online next month. Makes you wonder a bit if Ninty will be keeping track of how many players are trying these classics out. To show the older, less explored franchises have appeal, I enjoyed the mess out of Splatterhouse on 360. @EightBitMan So, sort of like how Microsoft has Halo, and Sony has Gran Turismo? @HobbitGamer Didn’t they say that Vs. editions of Balloon Fight and Wrecking Crew (among others) were going to be available via Arcade Archives, eventually? Given that Nintendo can make their characters jump a lot better now, I would try a new IC game. Mind you, it would hafta be 8 or 16 bit. The old one coulda been good if they jumped more like SMB. The original was far prettier then that up there. Still, it has awful jumping mechanics. I don’t know where I got Wrecking Crew from, lol. @MH4 Ugh. I've tried Clu Clu Land on some overpriced PoS, knock-off plug n play. Terrible pac-man clone, with frustrating controls. @Tempestryke I’ll try it if they release it with the online service. I for one enjoyed Ice Climber as a kid. The jump mechanics were similar to the original Mario Bros. game and really took some getting used to. But playing 2-player got rather ruthless and fun! That's great, but did they fix the shoddy controls? @EightBitMan You mention that they are not the same company yet you failed to find evidence to prove your point. Nintendo has been doing the same thing they were known to do since the NES days, maybe your time with them is over and you see a different perspective of them now because you change and they did not change with you cause securing Mature rated games they still do today (Madworld, Bayonetta, Fatal Frame, Shin Megami Tensei, No More Heroes, etc. ), also supporting the same franchise year after year? Well if it helps them sell and make million then of course that's what they do, there's a reason they never revisit the Ice Climber and Star Tropics, one it could be that one is a shallow game and two it could be that the story for the other is already over and three it could be that the creator of those games move on to something else or retired entirely there's not much of continuing anything with them if Nintendo or the original creator doesn't see the potential in resurrecting them. Looks as fun as the original. That actually would be a good take on the franchise to update it. I would like something like this but keep it small and make it a Eshop exclusive game. @retro_player_22 The severe lack of third-party support is the point. I'm not raving about inferior ports of titles that are already available on other platforms. How can you even compare the NES and Super NES days with today's Nintendo? Just compare the unbelievable amount of exclusive, quality third-party titles on those two platforms with the Switch, or basically any Nintendo platform before that. Nintendo never recovered from the competition PlayStation brought. And, we can thank Nintendo's utter arrogance and stubbornness for that. Nintendo did not learn anything from the Wii U. They did not come up with a monster of a platform, catering to a broader fanbase, directly competing with Microsoft and Sony. No wonder third-party developers stay away; they go where the money is, and where there's a solid ground to develop games on. The hardware is completely flawed. Do we, as a society, constantly need to rehash the past, reboot every minor, obscure comic, movie, or game franchise endlessly, just to satisfy this need to receive the same gratification experienced in childhood? Nintendo and others have shown they are capable of doing something new with older properties like zelda and mario, but in 2018 do we really need an ice climbers? I know this is not happening, but the comments clamoring for old properties is slightly nauseating. This is why in 20 years we will get “x-men vs. darth vader” or “captain crunch: the movie” instead of the next Godard or Fellini. Because the unending appetitie of prolonged adolescence will be catered to by industries hungry for dollars, not innovation or culture. This sort of mentality is a roadblock to new experiences. We dont need to forever be awash in 80s and 90s nostalgia. Let it be. @EightBitMan Yes NES and Super NES had more third party titles, it still doesn't take away from the fact that they also had inferior ports like the Switch. Games like Street Fighter II, Mortal Kombat, Doom, Metal Gear, Shinobi, Final Fight, etc., aren't any better than what their original version were. Yes it's true they never recover from the time when the PlayStation came out but still they didn't change themselves when the industry move forward, third parties change, not Nintendo. Their franchise, their console, and their audience remains the same with the only difference between generation being new innovation and experience that they introduced. Unless you want Nintendo to be like PlayStation and offer nothing new but with only better graphics which is the only thing PlayStation does better nowadays. Also the Switch isn't lacking in third parties, believe it or not, indie devs are third parties, reason why most people don't want to count them as one is cause there's just too many of them nowadays, back them indie devs like WayForward and Shin'em were one of few but be glad there's more of them now cause then you get to experience something new or creative from each one. Also like NES and SNES days, shovelware and garbage license titles are also there as well, do not believe anything about the stupid Nintendo Seal of Quality thing, that thing means nothing then and it still means nothing now and it doesn't prevent crap titles from coming. It just means that whatever games got that seal means Nintendo approve that it will work on their system, nothing more. "Yes NES and Super NES had more third party titles, it still doesn't take away from the fact that they also had inferior ports like the Switch. Games like Street Fighter II, Mortal Kombat, Doom, Metal Gear, Shinobi, Final Fight, etc., aren't any better than what their original version were." I wouldn't say more...I would say a LOT more, many of them Nintendo-only exclusives. As for the arcade games; yet, they were the best possible home experience at that time, a time when "arcade perfect" did not exist yet. Gaming was in it's infancy, and more often than not, effort was undertaken to get the most out of the platform, sometimes even leading to radically different experiences on competing platforms. There's absolutely no excuse not to come with something better than a platform running on mobile technology. All those Switch favorites could've looked far better, played better; experienced much better, on better hardware. Which in turn would've been attractive to third-parties to develop games for also. "Unless you want Nintendo to be like PlayStation and offer nothing new but with only better graphics which is the only thing PlayStation does better nowadays." And yet, the PlayStation 4 outsold the PlayStation 3, and may be outselling the PlayStation 2. It does offer something good apparently, and it does have solid third-party support. I want a Nintendo platform with better graphics than PlayStation 4, and drop the gimmickry for the sake of "being different". How many times have their gimmicks actually hampered video games now? Nintendo was all about power at one time. Hell, nobody boasted more about power than Nintendo during the "Ultra 64 days". I do want Nintendo to get their heads out of the sand. But that's not going to happen, nor will Nintendo fans become open to any criticism people like me have about this tragedy of a company; they don't demand better. "Also the Switch isn't lacking in third parties, believe it or not, indie devs are third parties, reason why most people don't want to count them as one is cause there's just too many of them nowadays, back them indie devs like WayForward and Shin'em were one of few but be glad there's more of them now cause then you get to experience something new or creative from each one." The Switch has terrible third-party support because the platform is severely flawed. Compare it to any other platform; it's a joke! I don't see any major third-party game coming to the Switch, primarily because these games are waaay too big in size and waaay too demanding. I've seen people begging for games that are completely impossible to port, so it's a indication that a few people actually do want better. But they're not going to see Cyberpunk 2077 or Resident Evil 2. The games we've seen were already heavily compromised ports. Not everybody's interested in Octopath Traveler, or a Bayonetta either, even though they may be good games in their own right. Don't get me wrong, I would love to see Nintendo succeed, but they're not going to unless they'll step up their game, and actually listen to what people want, and stop treating us like little children both reflected in their software output, and their behavior towards us as consumers. Until that time, more people will migrate to other platforms, never to bother with Nintendo again. It's a fact, that the fanbase of Nintendo is statistically dying. This game would make for a good rogue like if they wanted to make one.Throw in some more enemies, powerups and you'd have an interesting rogue like. This looks like it could be a fun co-op title if it were real... Perhaps add back some of those strict control elements though from the original instead of modernizing the controls, like Spelunker Party. I remember playing Nebulus on my Amstrad CPC ! @EightBitMan yes, playstation has solid third party solid support. Without it they wouldn't survive. Even though Nintendo needs that third party support, they prove that they are capable of having the best first party of all three systems to sustain themselves. Not bad. With online you could have a 2 or more players take a different path up the same tower in real time and maybe even open shortcuts if they're willing to co op their skills. I've long thought you could do some interesting stuff with an Ice Climber reboot. Also I really don't think the game is that bad. Not great certainly, really awkward jumping, but I'd rather play it than something like Excitebike. @EightBitMan It sounds like you want a system like a PlayStation, and the great thing is, that already exists (and it’s called a PlayStation!). For those who aren’t into what PS and Xbox offer, we are lucky enough to have Nintendo. I’ve been gaming since the mid 70s, and then stopped completely after the Wii/Ps2/Xbox 360 - as I wasn’t really enjoying it. But the Switch has got me back into it, and I love it. Well at least you can say you'll have tried it. @EightBitMan lol what a ridiculous comment. Don't know if you haven't looked at the numbers yet, but Nintendo is doing a pretty good job at succeeding (by not competing against Sony/Microsoft). "Nintendo only focuses on the same damn franchises, year after year, generation after generation, catered to the same people"
"Besides that, when was the last time Nintendo targeted a more mature audience outside of Metroid?"